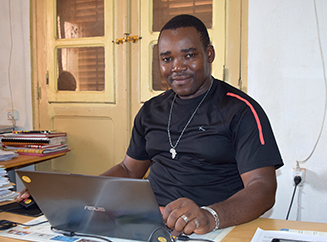 In a few days, the 98 students who are currently studying at the Vocational School of Bissora, Guinea-Bissau, will complete their training. This almost 100 students, 11 of them women, are distributed in several specialties: construction, agriculture and livestock, commerce, solar energy, electricity and water pumps. A three-month IT module is also provided. In February, a new promotion will begin its classes, of 11 months of duration, as explains Rui Luis Baloi, director of the School. "At the end of January they will go to school, for a first contact and to settle, before the classes start, on February 1st." Since its inception in 1997, 1,299 students have graduated here. "Disappointingly, only 200 women have graduated; We are aware that the percentage is small, but we work to raise it every year. " Since its creation, the school has developed its work thanks to the commitment of the ADPP team and funds obtained by the organization, thanks largely to the management of used clothing, which guarantees its sustainability. It is the oldest center of ADPP, which did not interrupt its activity or during the civil war that devastated the country between 1998 and 1999. The Humana Fundación Pueblo para Pueblo collaborates with own funds coming from the used textile. In 2015, this amount amounted to 27,047 euros. In addition, the center has received timely external funds from the European Commission and AECID. In addition, the Islamic Development Bank supports the school for the training of 40 young people, 30 of them women, who after their studies will be responsible for several farmers' clubs, to ensure their sustainability. 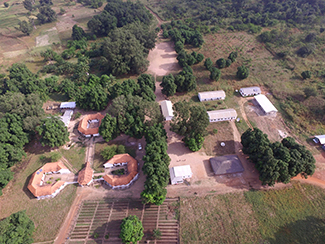 The school is in the immediate vicinity of the central square of Bissora, authentic nucleus of the life of this population, capital of the region of Oio, located about 90 minutes by car from the capital, Bissau. The school consists of several units, including classrooms for lectures, practice rooms, dormitories for students, kitchens, offices and other facilities, such as sports courts and a rudimentary gym. Part of the electricity supply is guaranteed thanks to the installed solar energy system. The center has an orchard, like a model field, in which the students of agriculture carry out their practices, and that supplies fruits and vegetables to the school community. On Saturday mornings the students organize themselves in cleaning and maintenance brigades to fine-tune the facilities after an intense week of activity. In fact, the training plan promotes the involvement of students in the management and maintenance of the center. The school also acts as the ADPP headquarters in the area, so meetings of project managers such as renewable energy for local development are common. The training includes a practical period, in which several companies in the area participate. In addition, practices are carried out in the school itself. For example, students collaborate in the construction of new facilities and in the maintenance of the buildings already erected. Baloi says that the students begin to work on the construction practices with sand (cheaper) with which they manufacture blocks for walls, walls and partitions. Once they master the technique, they begin to make those blocks with cement. 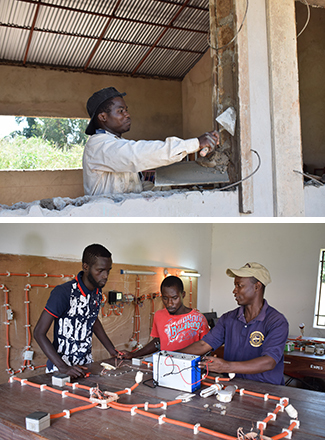 With electrical systems something similar happens: students work with circuits, wiring, solar panels and batteries in the school's practice rooms, before collaborating in the maintenance of Bissora light systems (both private homes and small businesses As of street lighting). For example, they deal with the maintenance of the electrical system of the Bissora Hospital. Baloi points out that 'the country and the state do not absorb the entire labor force that the school generates; Therefore, we encourage the implementation of microprojects that promote self-employment ". In fact, about 50% of graduates become entrepreneurs and begin to work on their own.